Without much expertise on the subject you might not know exactly what changes are required, how you can green your organization in a way that goes hand in hand with the characteristics and specifics of your business. This is why you should consider the possibility of opting for a carbon footprint assessment, before doing anything else. Someone who has the knowledge, experience, qualifications and resources necessary to analyse the practices of your business and find out where you might be currently causing harm to the environment most will provide you with the clarity you need on the topic, and thus make the most of your future eco-friendly decisions. Areas of potential reduction will be calculated carefully, and you will be able to understand how you can achieve complete carbon neutrality. After the assessment is completed by experienced and qualified professionals, you can also resort to the experts’ management, in order to get some advice on how you can lower the negative impact your organization is currently having on the environment. With some clear answers in this department, it will be much easier for you to actually pursue the necessary movements. Research your options in this department carefully – you will see for yourself that sustainability will be made possible in a faster and simpler way with the support of professionals. Recycling is one of the actions that any individuals would be focusing on, and when it comes to large organization, this becomes even more relevant, considering their disposal of larger quantities of waste. Regardless of the profile of your enterprise, whether you are in the manufacturing business or not, you should reassess your recycling actions and make sure they are adequate. While having at your disposal special bins for proper recycling is mandatory, you should take one step further and resort to machineries that facilitate an even more effective disposal of trash. Large organization, especially those that have a manufacturing branch choose to rely on balers and compactors, which seem to be the most useful equipment elements for a reliable waste disposal process. Experts at Miltek carefully explain how the right type of equipment can contribute to a recycling upgrade within an organization, making things easier and safer. With these elements at your disposal, you can be certain that everything you throw away will be disposed of properly and ready to be given away to your local recycling collaborator. Waste disposal done right is one of the first things you need in order to give your enterprise that green label you desire, so make the necessary improvements in this department as quickly as possible. An investment in qualitative machineries will be worth it. From replacing traditional light bulbs with LEDs to making sure your clears are using non-toxic, natural cleaning products, there is a multitude of apparently small, but important changes that can be obtained with ease and will enable you to take one step further in the complete greening of your organization. Switching to energy saving appliances, reducing paper consumption, making sure your employees aren’t leaving their computers turned on when not using them – all of these actions should be pursuing within any respectable company. So start thinking about every small detail that can contribute to the overall eco-friendly nature of your enterprise, and wait no longer until implementing them accordingly. With the topic of green energy become more and more popular companies have emerged that give you the possibility of getting your green source of energy in a convenient manner. Switching to a green provider doesn’t require much effort from your part, but the effects of this decision are certainly valuable ones. Find out if you have this type of option put at your disposal in your area, and if you do, don’t hesitate to contract a new company as soon as you can. Knowing your energy is coming from green sources will give you an immense sense of satisfaction. 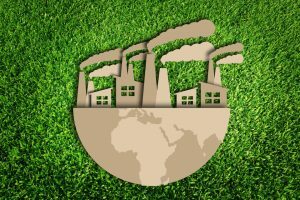 Regardless of what elements you need to supply on regularly, collaborating solely with green vendors is one excellent way of making your business greener. Nowadays, ecofriendly products are more accessible than ever, and you have the possibility of getting a hold of them easily at the same appealing products. Whenever you are on the point of doing business with a new vendor, take some time to research where they stand in terms of green practices. A simple switch of vendor can actually matter. Interview your suppliers, and ask them questions regarding their sustainability efforts. What are they doing to reduce their carbon footprint? Are their processes green ones? Have some clear sustainability guidelines mind when you are discussing with a potential new supplier, and don’t make any compromises. While certain changes might seem difficult to implement, after carefully assessing the importance of going green, the efforts put in this department will prove to be worth it. Businesses that promote sustainability and actually participate in doing their best to go green are not only participating in the worldwide fight against pollution but improve the image of their brand in front of consumers as well, green actions functioning as effective marketing strategies. It’s time that you take your eco-friendly practices more serious and start developing the right environmentally friendly movements.